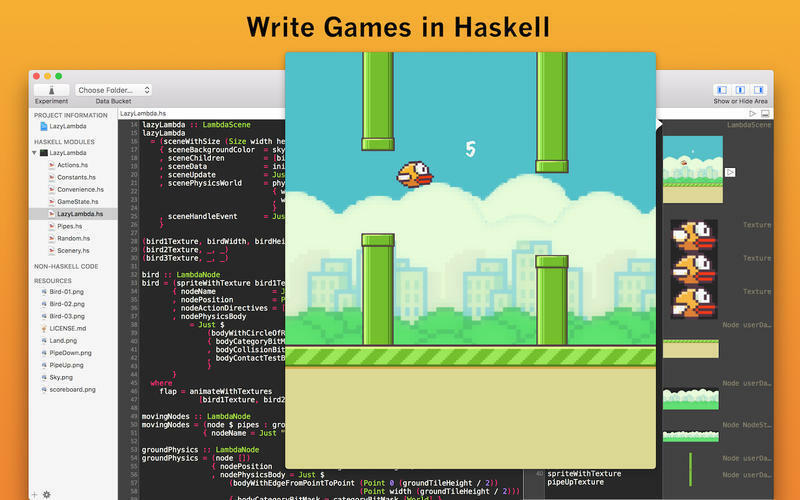 IDE for the Haskell language. Is there a better alternative to Haskell? 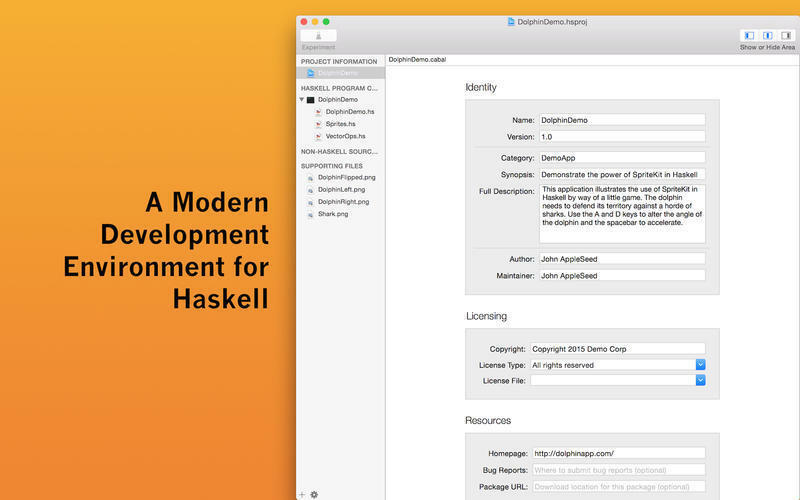 Is Haskell really the best app in Developer Tools category? 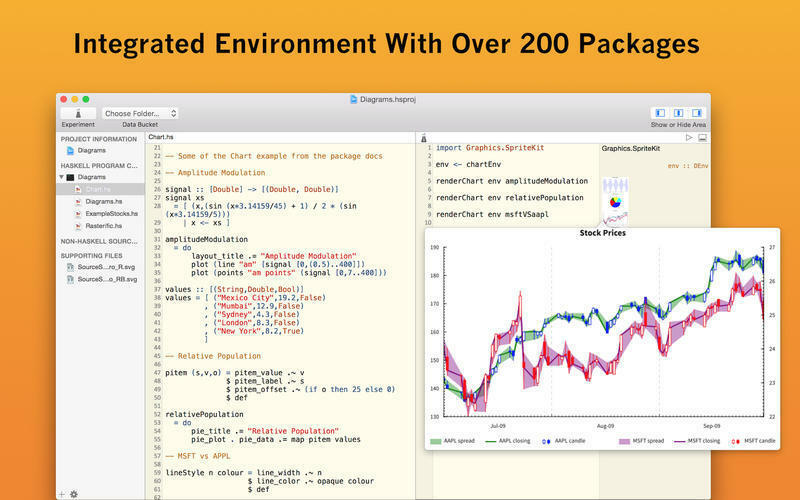 Will Haskell work good on macOS 10.13.4? 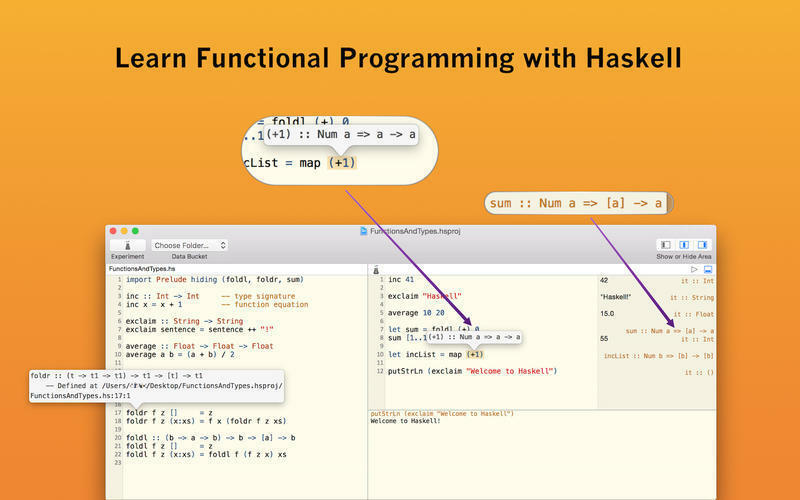 Haskell is an easy-to-use integrated programming environment for the functional programming language Haskell. 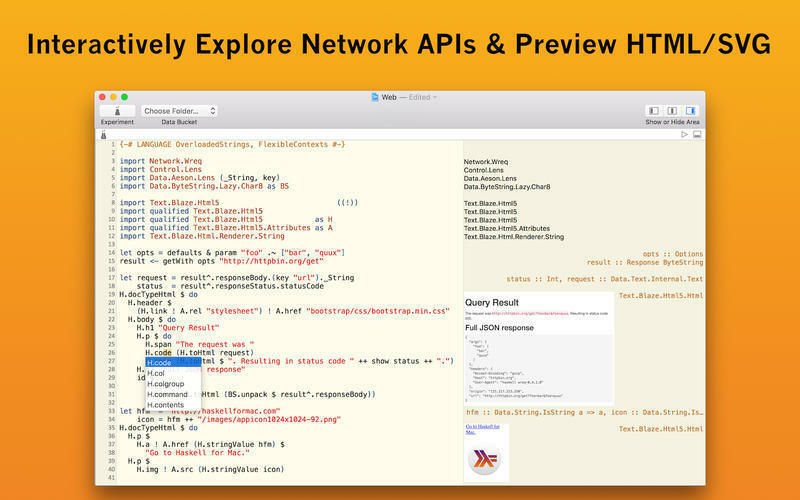 It features interactive Haskell playgrounds to explore and experiment with code. It is ideal to learn functional programming, prototype Haskell code, interactively visualize data, and to create interactive animations. Haskell needs a review. Be the first to review this app and get the discussion started! Haskell needs a rating. Be the first to rate this app and get the discussion started!